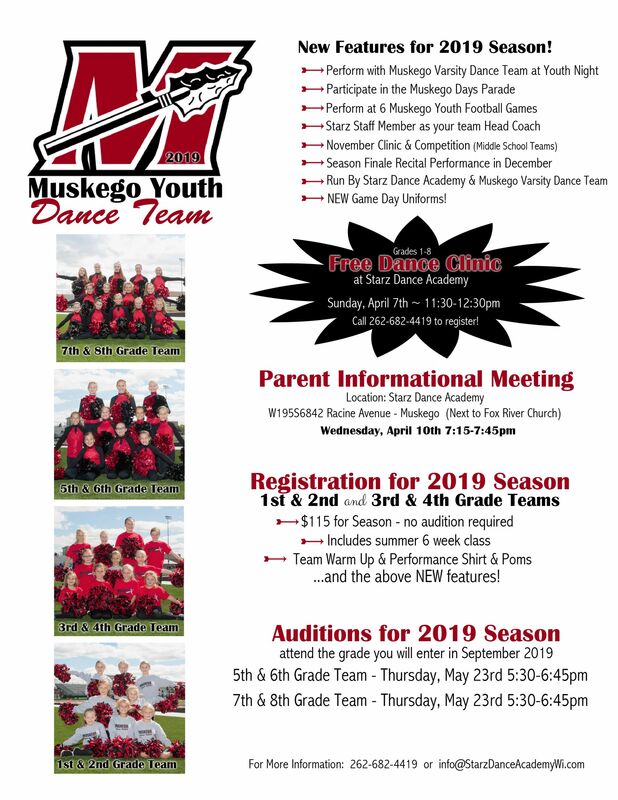 Starz Dance Academy was established in 2010 and has quickly become the premiere choice for dance in Muskego and its surrounding areas. Starz not only offers a wide variety of recreational studio dance classes for boys and girls ages 2-adult, but is home to one of the most highly decorated All Star Competitive Dance programs in Wisconsin and home of 2017 Dance Worlds Champions! What does it mean to be part of an All Star Dance Team? Be a part of of our Nationally and World Ranked Competitive Program! Registration Going on Now for our Spring Session! Join us for our 8 week session. Congratulations to the Starz Elite Team on their Outstanding Performance in THE 2018 DANCE WORLDS! The girls are currently ranked 4th in the World in Large Senior Pom and 5th in the World in Open Pom. We are so proud of the 38 amazing young women that make up our prestigious Elite Team. WE CAN. WE WILL. WE ARE STARZ!